Product information "Sogn og Fjordane: Sport Climbing Guidebook"
Revised, update and with lots of new content: this guidebook contains all the information for climbing on the west coast of Norway, north of Bergen. A total of 758 routes are featured in 19 areas which are all described in detail. Compared to the first edition there are now 6 new areas and more than 200 new routes in the most popular climbing area in Sogndal. High-quality full color photo topos and spectacular climbing pictures as well as maps and pictograms make the guidebook very clear easy to handle. It is written in Norwegian with English information for all the approach details. 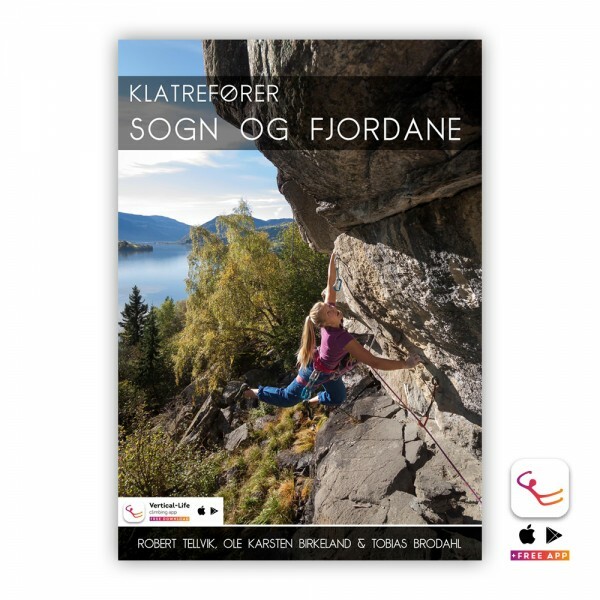 Related links to "Sogn og Fjordane: Sport Climbing Guidebook"
Customer evaluation for "Sogn og Fjordane: Sport Climbing Guidebook"